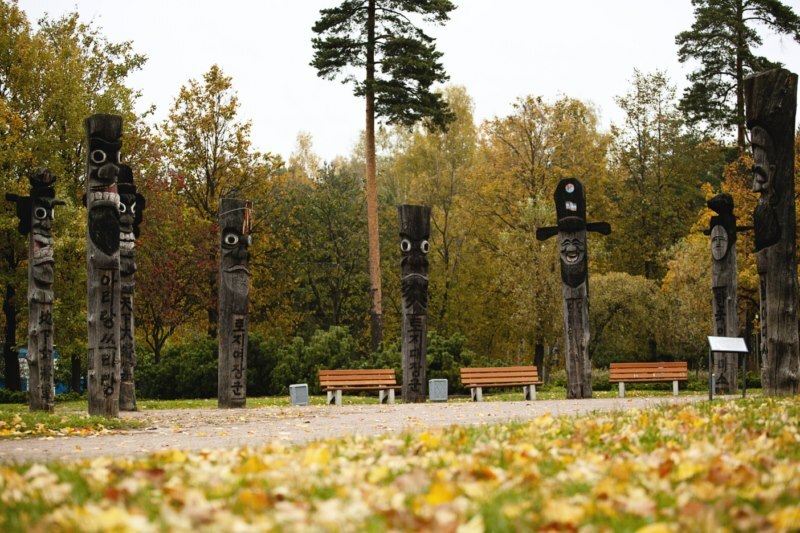 Back in 2003, in commemoration of the 300th anniversary of St. Petersburg, South Korean embassy gifted Jangseung totem poles to the city. 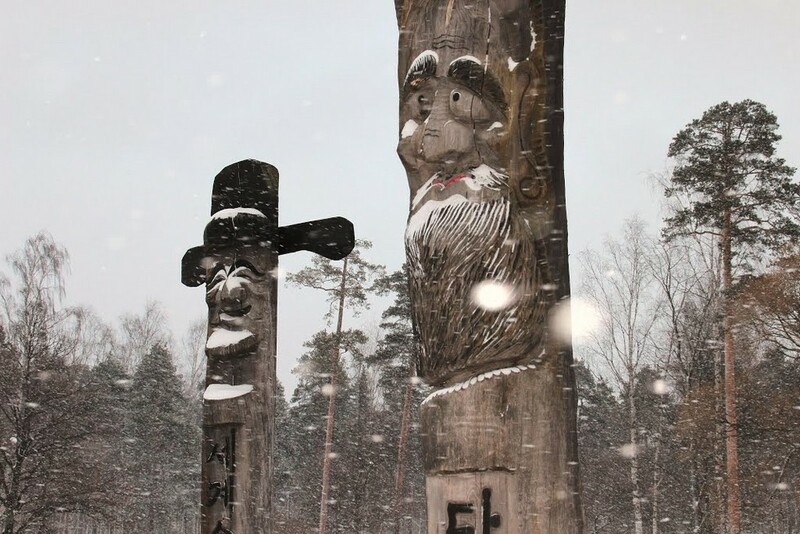 Traditionally, such totem poles were placed at the edges of Korean villages to frighten away demons. 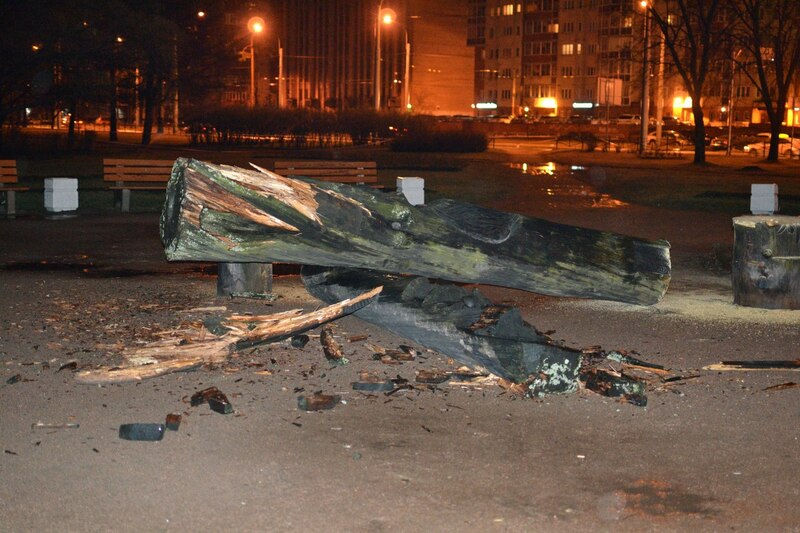 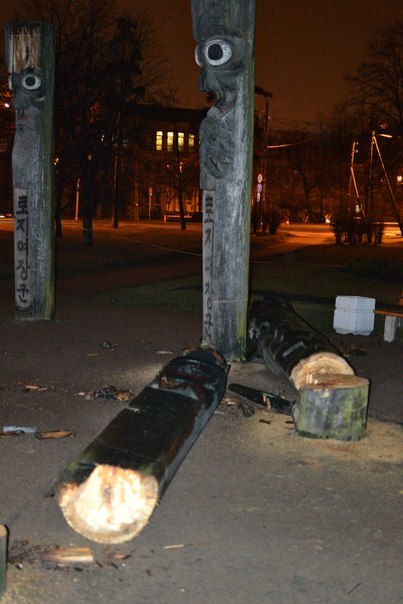 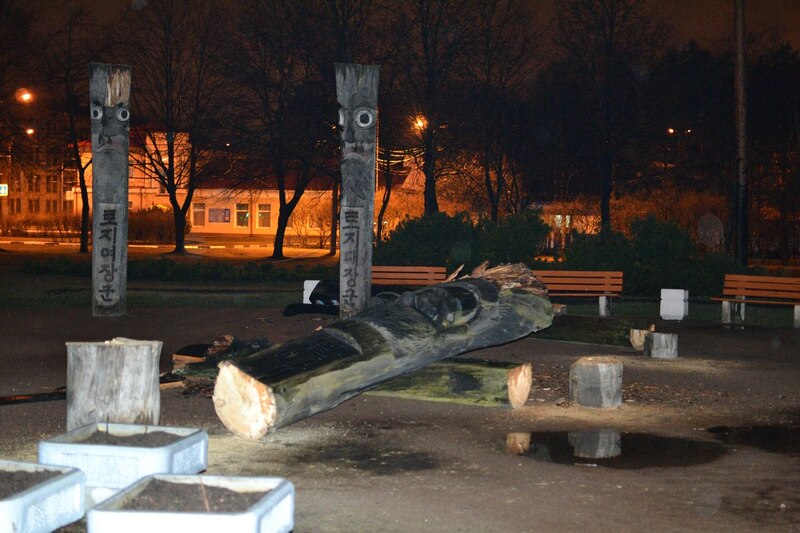 On Tuesday night, some religious fanatics cut the totem poles down. 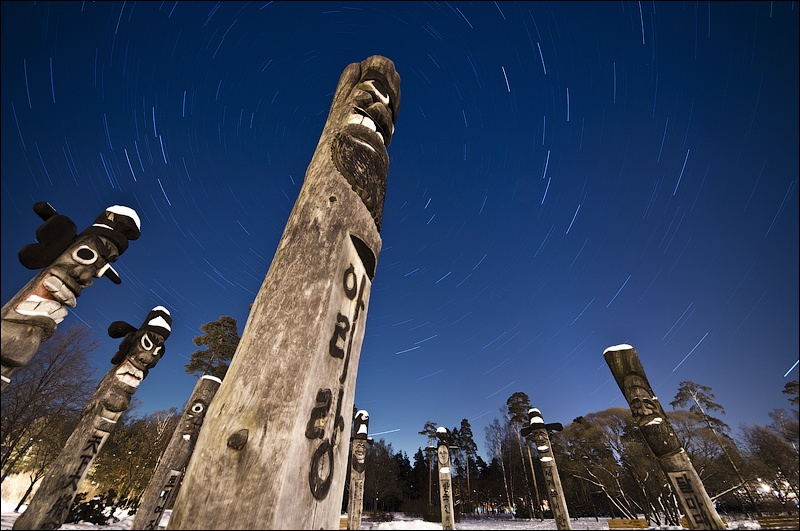 “We live in Christian country and totem poles are not acceptable,” they explained. 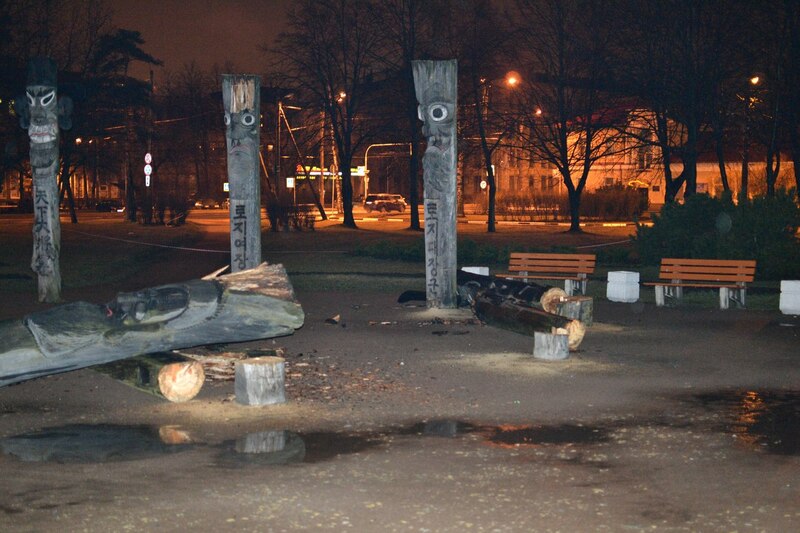 Unfortunately, the poles are severely damaged and can’t be restored. 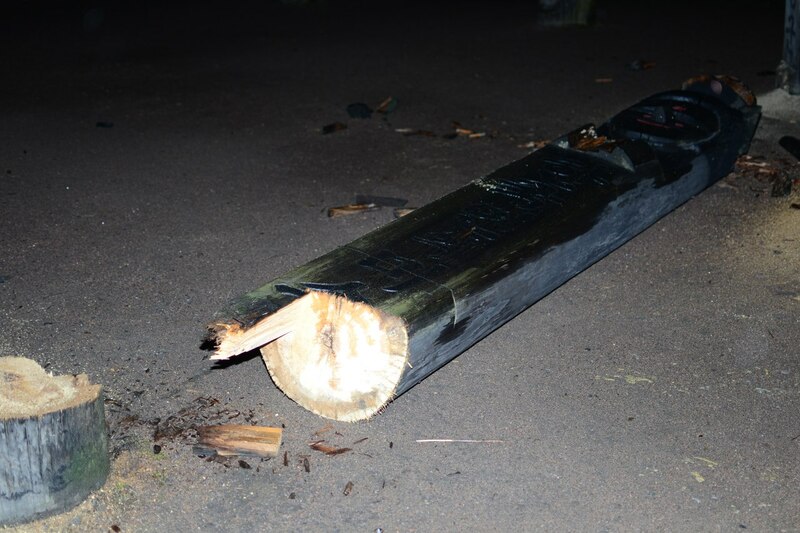 Police are investigating the incident. 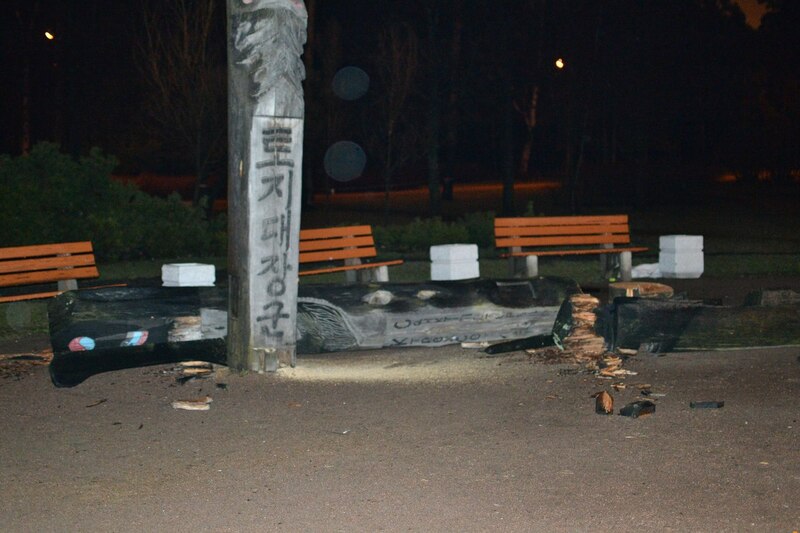 And this is how Jangseung used to look like. 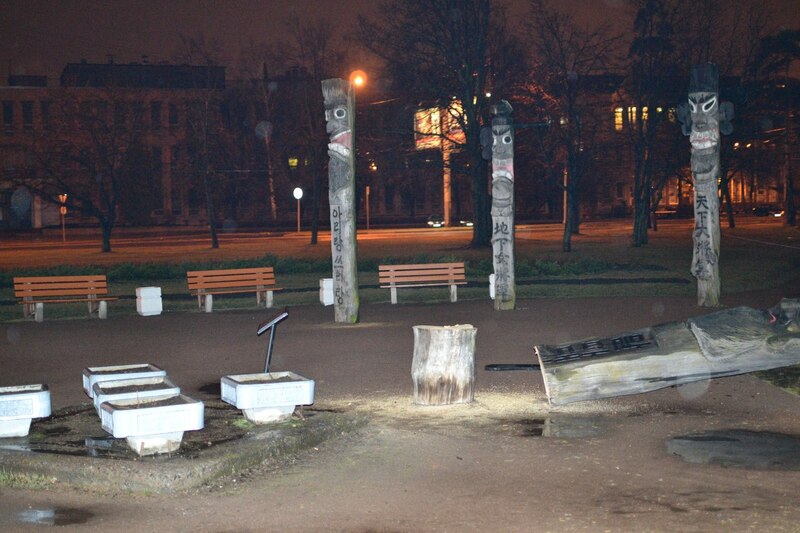 Images via terra-z.ru, vashadres.spb.ru and leprosorium.ru.